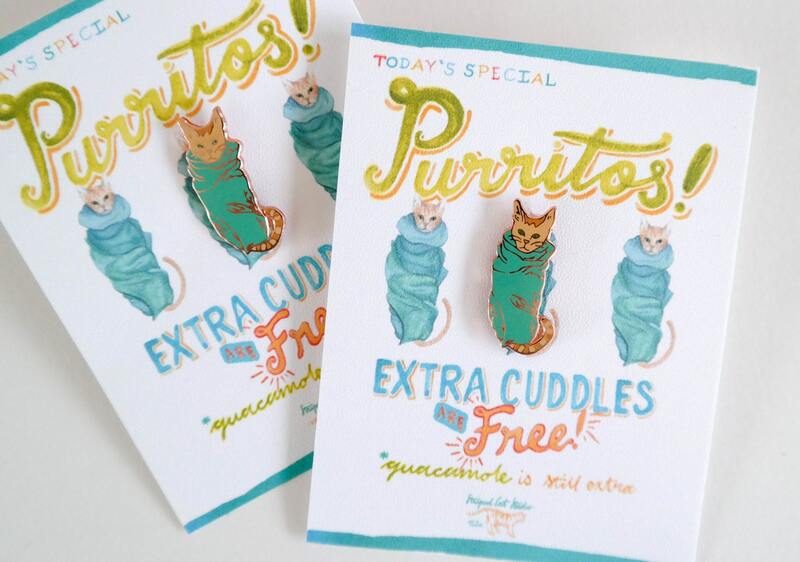 Today's special: Purritos! Cuddles are free, but guacamole still costs extra. 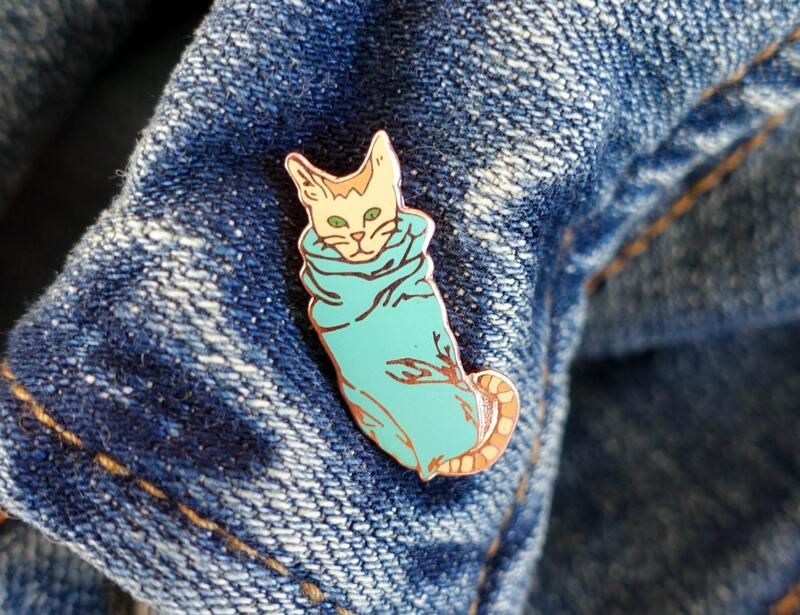 This cloisonne style hard enamel lapel pin is 1" tall and .25" wide, and features a kitten so cute you could eat him up. 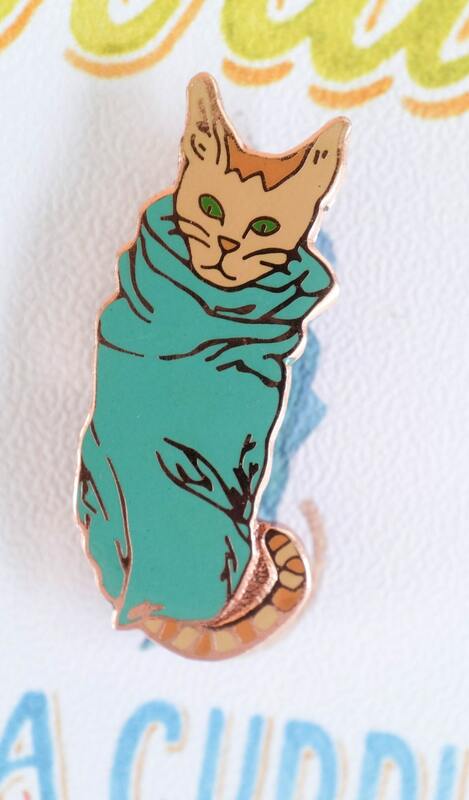 Pin comes packaged in a clear plastic bag on a decorative card (2.5" x 3.5"), and includes a butterfly backing. 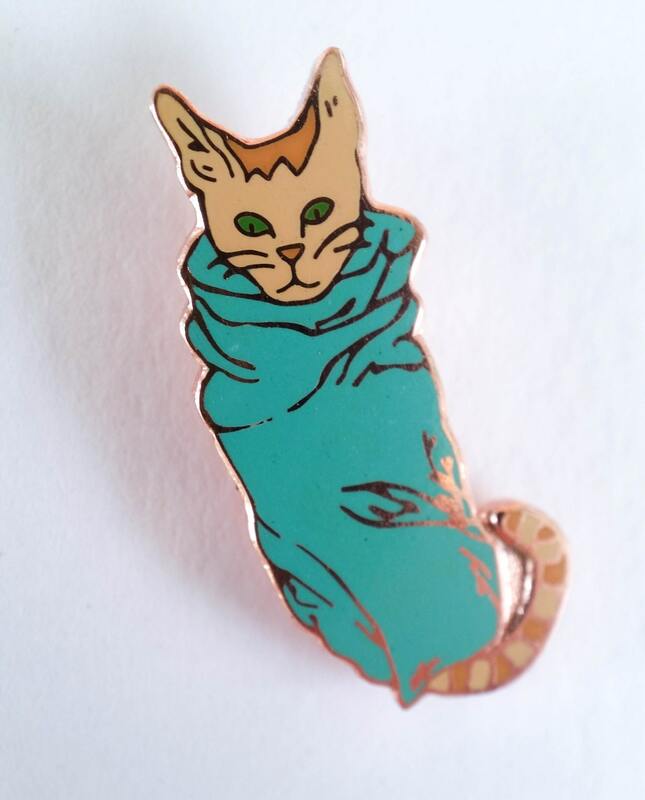 My niece loved the pin, very cute.